With less than one month to go until the ceremony for the 2019 Africa Responsible Tourism Awards (#ARTA19), Wesgro – Cape Town and the Western Cape’s official tourism, trade and investment promotion agency – have for the fifth consecutive year signed on as the main sponsor of the awards. On the other hand, RSG radio producer and presenter, Martelize Brink, has also been unveiled as host for the event. This year, the awards long list includes 36 tourism organisations from eight countries. A large exhibition for the meetings industry, an operator specialising in Kilimanjaro treks and a museum focussing on gangsterism are among those longlisted. Judging, which happens at the end of the month, is sure to be tough. Who will make the finals? 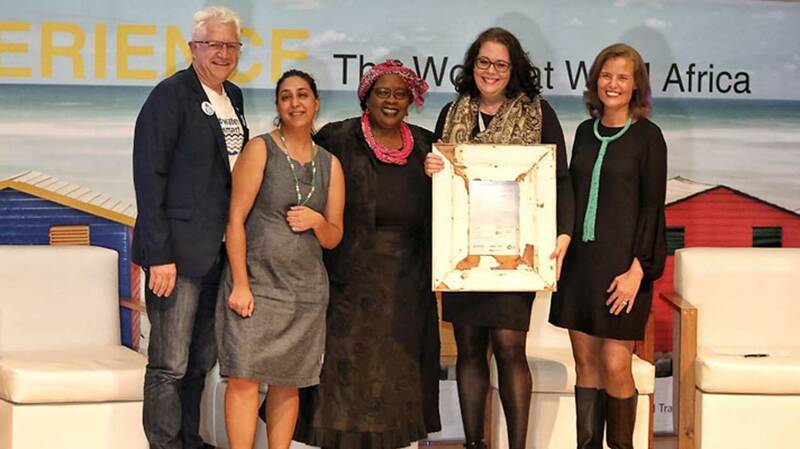 The 2019 African Responsible Tourism Awards winners will be announced at a ceremony to be held on Wednesday, April 10, 2019, at the Cape Town International Convention Centre. The ceremony is part of the responsible tourism programme at WTM Africa, which takes place from 10 to 12 April 2019. For the past 10 years, listeners to RSG have tuned in to Martelize’s lifestyle programme Oggend on RSG for a dose of her cheer and positivity. Martelize also produces documentaries for RSG focusing on a myriad of topics including global warming and the Khoi and San cultures.